Dr. Wende Zhang is GM’s BFO (BOM Family Owner) of View Systems since 2014. In addi-tion, Wende leads GM’s Next Generation Perception System team, guiding a cross-functional global Engineering and R&D team focused on identifying next generation perception systems for automated driving and active safety since 2010. 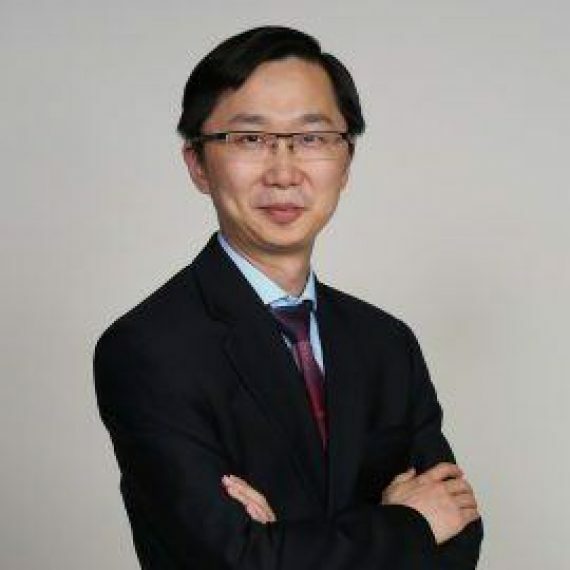 Dr. Wende Zhang served as President of Sigma Xi at GM R&D Chapter in 2011-2012. Wende has a doctoral degree in Electrical and Computer Engineering from Carnegie Mellon University and currently is pursuing an MBA at Indiana University. Dr. Wende Zhang research interests include Perception and Sensing for Automated Driving, Pattern Recognition, Computer Vision, Artificial Intelligence, Security, and Robotics. As BFO of viewing systems, he transferred his research innovation into multiple industry-first applications, such as Rear Camera Mirror (Named 2015 Popular Science ‘Best of What’s New’ award winner and 2016 Best New Safety Technology) and Video Trigger Recording on MY16 Cadillac CT6, Front Curb Camera System on MY 16 Chevrolet Corvette. Wende Zhang was the technical lead on computer vision and the embedded researcher in the GM-CMU autonomous driving team that won the DARPA Urban Challenge in 2007. He has 80+ US patent applications and 30+ publications in sensing and viewing systems for automated driving and active safety. General Motors Company, commonly known as GM, formerly incorporated (until 2009) as General Motors Corporation, is an American multinational automotive corporation headquar-tered in Detroit, Michigan. GM employs 202,000 people and does business in some 157 countries. General Motors produces cars and trucks in 31 countries, and sells and services these vehicles through the following divisions/brands: Buick, Cadillac, Chevrolet, GMC, Opel, Vauxhall, and Holden, as well as two joint ventures in China, Shanghai GM and SAIC-GM-Wuling Au-tomobile.